SACEE Is an organisation dedicated to the promotion of the English Language. 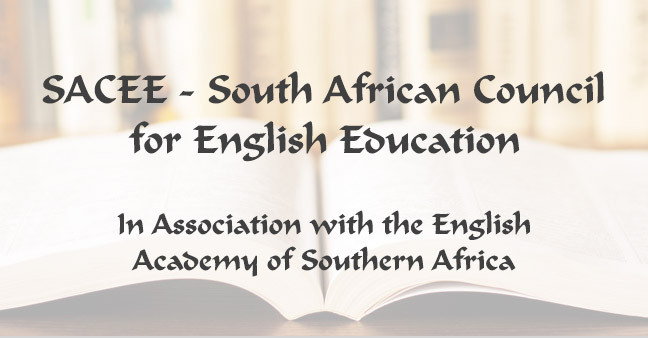 Founded in 1955, SACEE aims to maintain, promote and encourage education through the medium of English and to improve the standards of written and spoken English in South Africa. Today, SACEE has eight active branches around the country – Bloemfontein, Border, Eastern Cape, Johannesburg, Mid-Vaal, Polokwane, Pretoria and Western Cape. These branches are run by dedicated and enthusiastic volunteers. It is hoped that branches of SACEE may eventually be established in Kwa-Zulu Natal, and Mpumalanga. The individual branches organise many competitions, events and ‘outreach’ programmes within their own particular areas and these include such activities as creative writing competitions, spelling competitions, forum discussions. debating and the provision of readers in a number of Primary Schools. Please note that SACEE unfortunately does not run a National Creative Writing Competition. Some of the individual branches do however organise their own local Writing Competitions. Pretoria’s Creative Writing Competition is open to both Primary and High School pupils whose school is a member of their local branch of SACEE, Johannesburg’s Creative Writing Competition is open to High School pupils and the Mid-Vaal branch runs a Primary Schools’ Creative Writing Competition. Our Border branch offers a Short Story Competition to local learners. This arrangement also applies to debating activities which presently take place only in the Johannesburg, Bloemfontein and in our newest branch, Polokwane. If you wish to have more details of any of these various competitions, please go to the relevant ‘Branch’ page of this website – see list on left. The publication of English Alive, an annual anthology of writings from high schools and colleges in South Africa. This project has been in operation since 1967 and has seen a number of its entrants go on to become established writers. The copies of the publication are also very useful tools for teaching. The De Beers English Olympiad, an annual literary competition for learners in high schools and colleges. This project, which is a joint project between SACEE and the Grahamstown Foundation, has been in existence since 1976 and offers very attractive prizes, including substantial cash prizes for the top three winners, a year’s free tuition at Rhodes University, books and book tokens. The Language Challenge and Puzzle Parades which, as the name suggests, consists of a competition focused on language puzzles and tests. This competition is open to all Grades of learners. World Schools Debating Leagues: Johannesburg, Bloemfontein and Polokwane branches participate in these debating competitions. In addition to the Branch and National activities described above, SACEE is able to offer a first class editing and proof-reading service to individuals and businesses within South Africa. SACEE retains a panel of highly qualified and experienced individuals who are able to offer such services at a reasonable cost. Please contact SACEE National Office for further details.